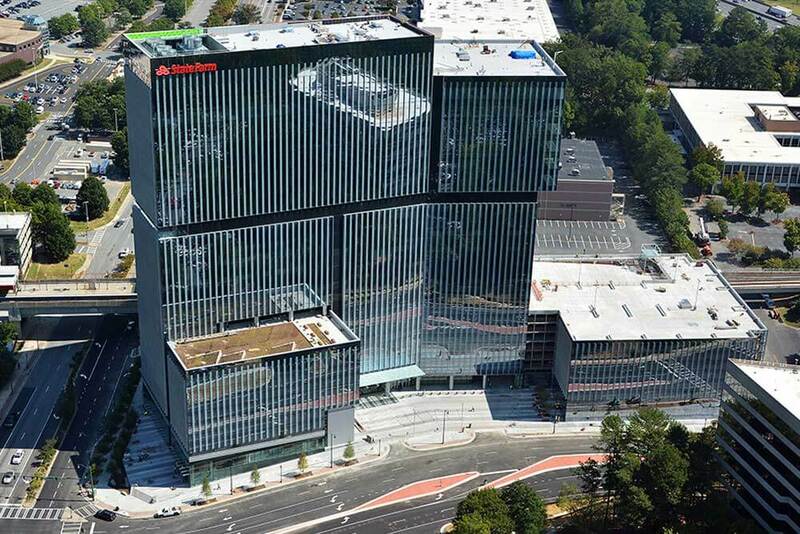 Phase 1 of State Farm’s regional campus included 585,000 sq. 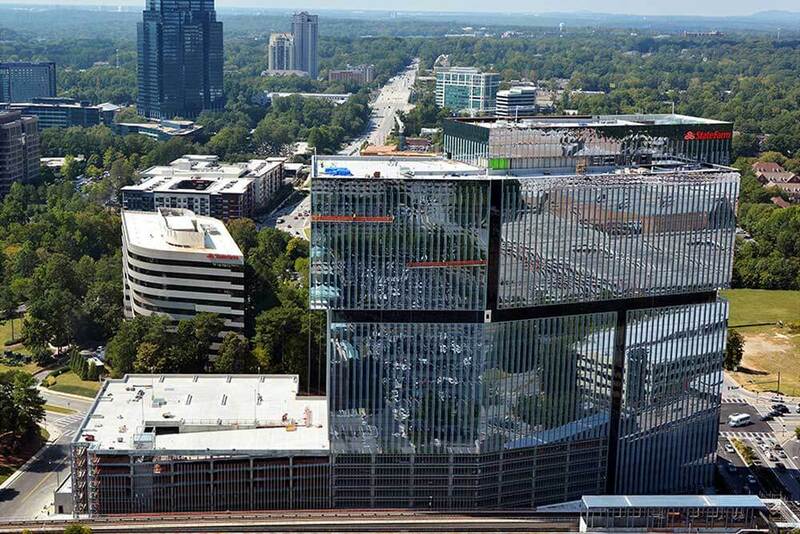 ft. of office space, conference rooms, fitness center, retail, and public transit connection. Our work included exterior and interior wall systems, acoustical and wood ceilings, and door frames.